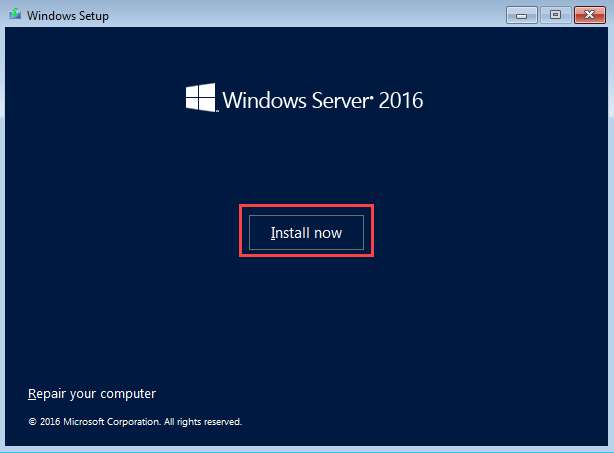 Windows Windows Server 2016 installation is one of the key tasks in the network. 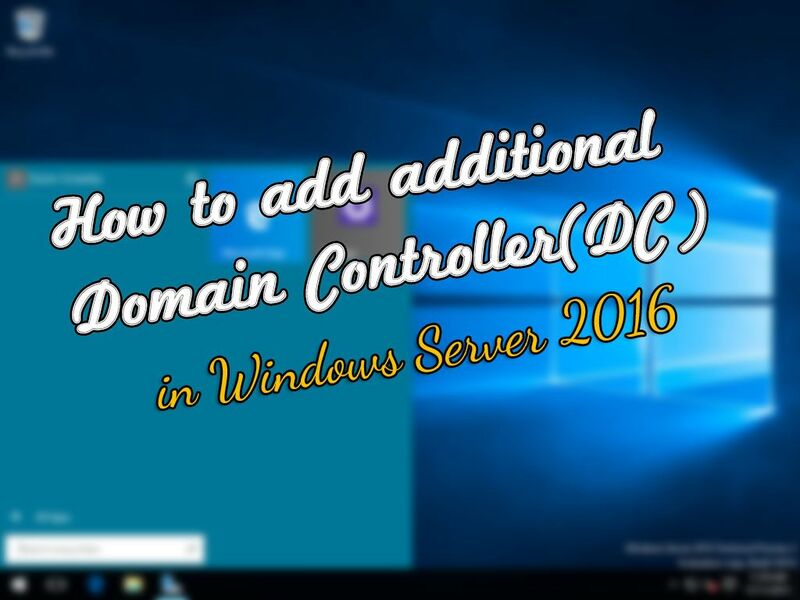 As an administrator you should know how to install and configure Windows server. 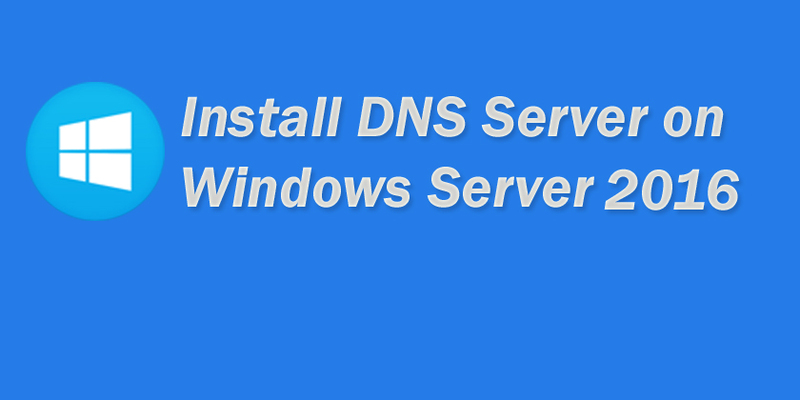 To start administrating your network, surely you first need to install Windows server and configure it. Before installing Windows server make a plan for the installation. Surely you can plug installation media (DVD, USB flash, etc) to the server and click on next button several times. Then you’re done and Windows server is installed. But that doesn’t work surely. Choose an appropriate edition of the Windows server. 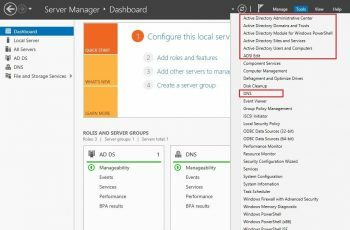 An edition of Windows server supports specific role/roles that others doesn’t support. Think of your present needs and what you may need in the future. How many virtual machines (VM) do you need? How many VMs you may need in the future? Does your network need Web server now? What about the future? How many users work in your network? They are all the things that you should pay attention to while making a good plan for Windows server installation. 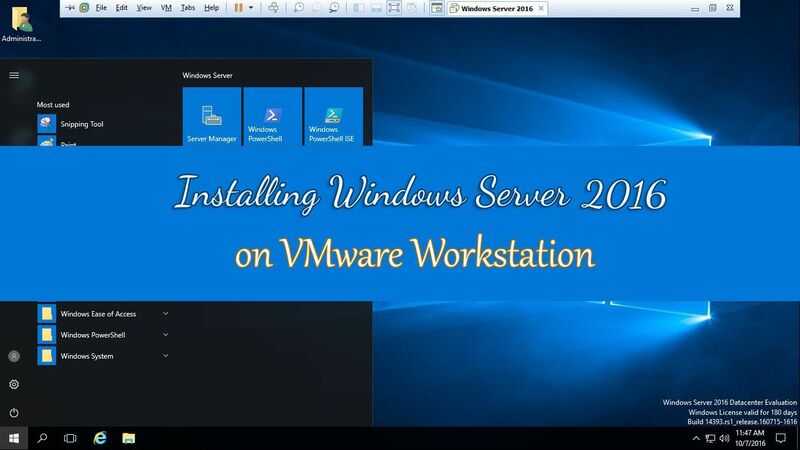 If you work on your personal lab, click on the link below to learn how to install Windows server 2016 on VMware Workstation. Prepare the installation media (DVD, USB flash, etc) and start the installation process. 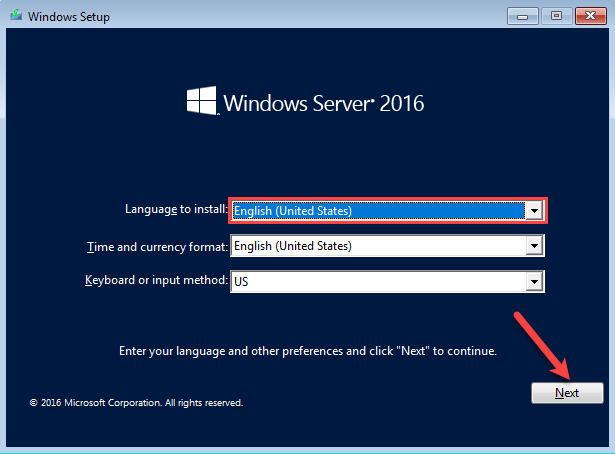 If you don’t have the Windows Server 2016 installation software, click here and download the software from Microsoft website. 1. Plug the Windows Server 2016 boot drive (DVD, USB) to the computer and boot your computer. When the Windows Setup page appears, select your language, time format and keyboard then click on Next button. 2. 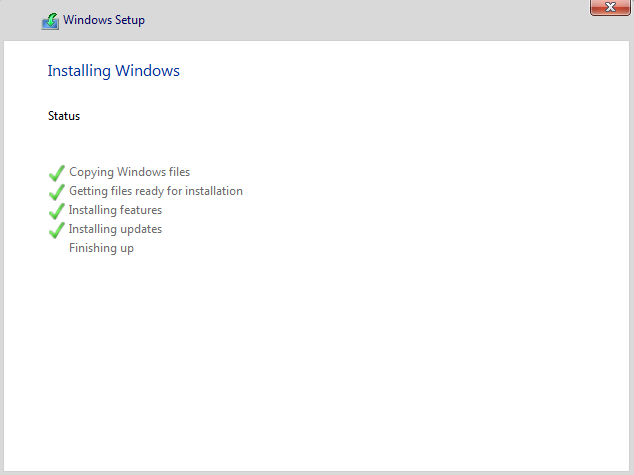 Now click on Install now button to start the installation process. 3. 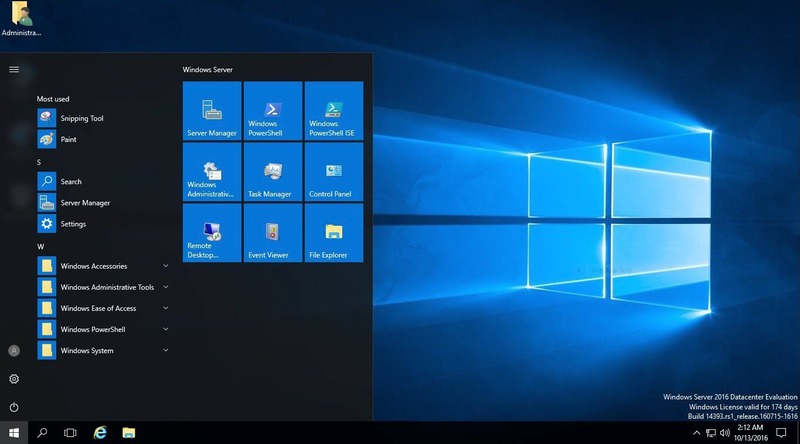 Select the appropriate version of the windows server that meets your organization’s needs then click Next. Make sure that you’ve chosen an appropriate edition of Windows server. 4. Put a check mark in the box next to the I accept license terms and click on the Next button. 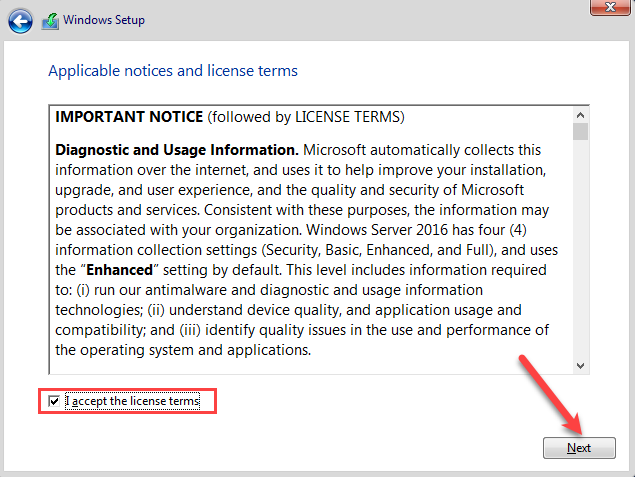 License term is about the way you want to buy license for your server from Microsoft. 5. 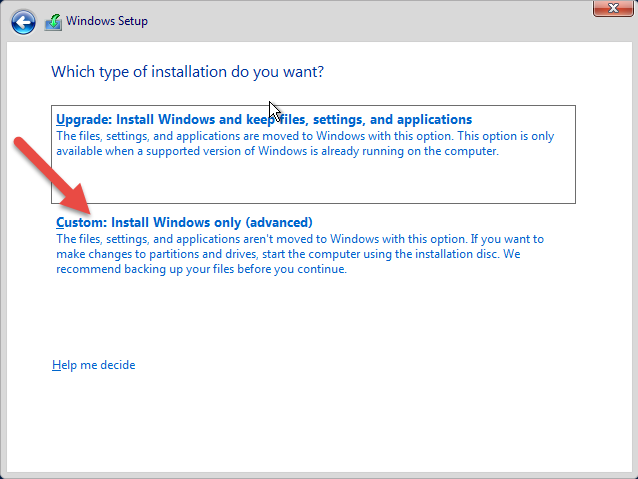 Select the Custom: Install Windows only (advanced) option for clean installation. Clean installation is the term used against upgrade. 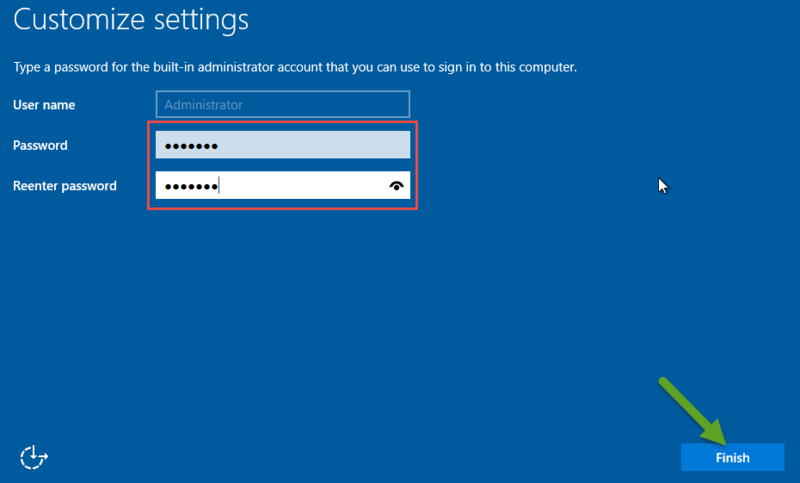 When you upgrade a Windows server you can have your settings, apps, etc from previous version of Windows. When you do the clean installation you can’t have the settings, apps, etc. 6. 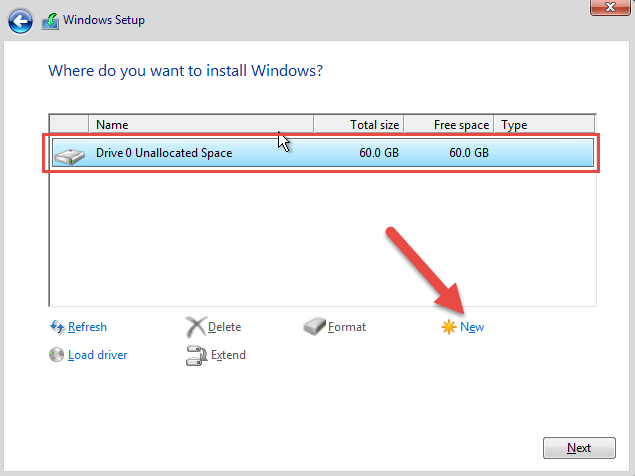 Select the hard drive that you want to install the windows server on, then click on the New button to do the partitions. 7. After clicking on the New button, some options appear. 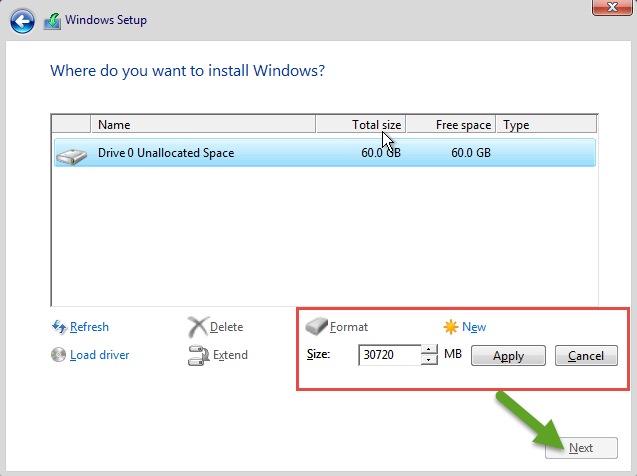 Specify the amount of the drive based on MB and click on the Apply button. A warning appears which wants you to give the permission to system to create a drive for system files. 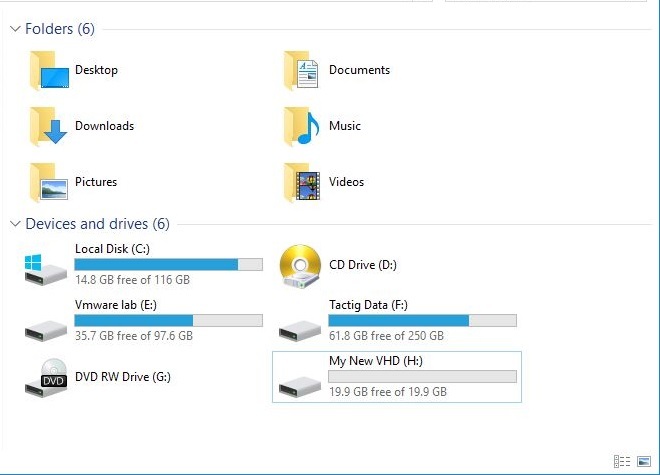 Click on ok button, if you want to add more drives do this process again. When finished hit Next. 8. After clicking Next the System starts coping all the files from the external drive to internal hard drive. It will take a while so be patient. Be aware that your system will be restarted several times. 9. 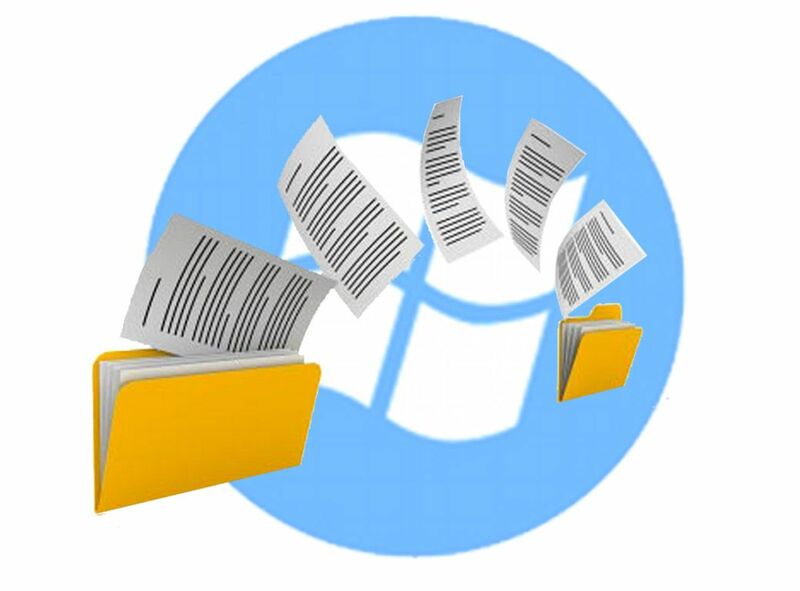 When the system copied all the files and restarted, finalize your task by entering the required details. Type complex password (composed of uppercase, lowercase, symbol and numbers) twice in the boxes and click on the Finish button. User name is Administrator by default. 10. 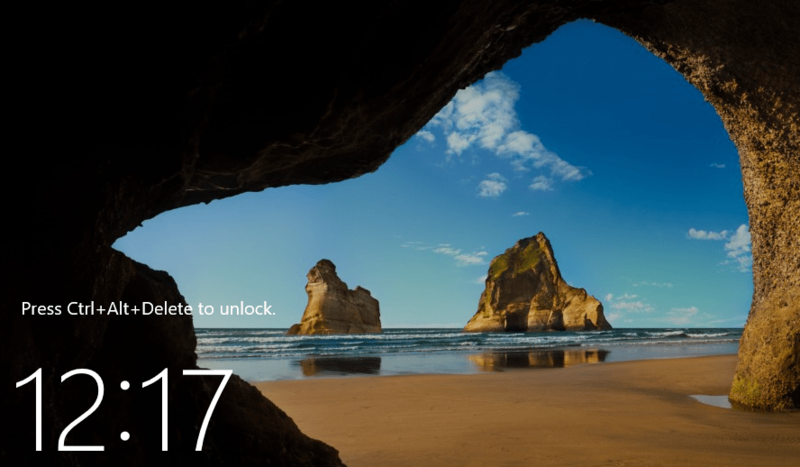 Press Ctrl+Alt+Del buttons to jump start the screen to a login page and inside the box below the administrator user name, enter the password and press Enter button from the keyboard to sign in the Windows. 11. After you logged in the Windows you see the some thing like the picture below. Welcome to Windows Server 2016. Finally, we’ve installed the Windows Server 2016 successfully and is ready to work. When Windows installed you can’t go back and for example change the edition. If so, do the clean installation again. For any question leave a comment below. I answer your questions as soon as possible. 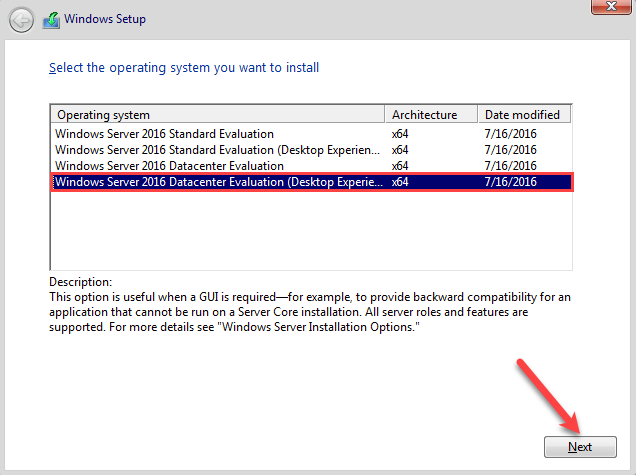 Now you need to initially configure Windows Server. 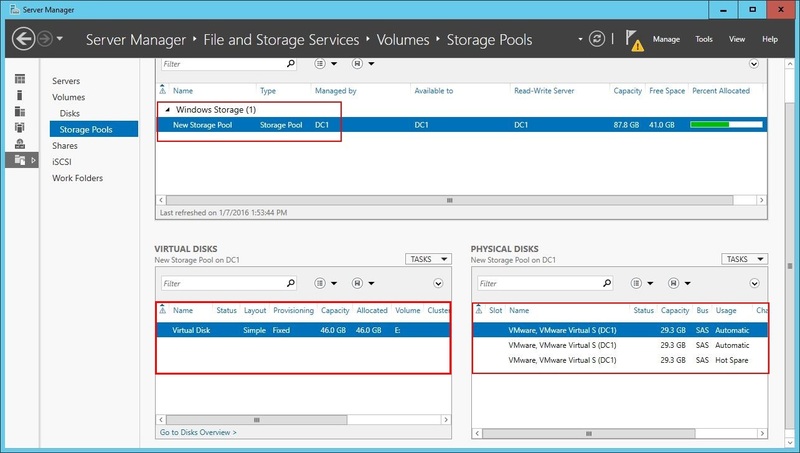 Click on the link below to learn how to do the initial configurations. If you have existing partitions, you can delete them, or even extend them before selecting the destination to install Windows.